During pregnancy, hormonal and physical changes occur in women's bodies, as well as greater mental receptiveness. All of these factors can lead future moms to have an excessive appetite. Cravings during pregnancy are something that must be controlled. It’s never healthy to allow yourself to eat limitlessly. Becoming overweight and the conditions that follow can hinder the normal development of the baby. This may cause disorders in the mother as well. Obstetricians recommend caution when speaking to women about their pregnancy cravings. 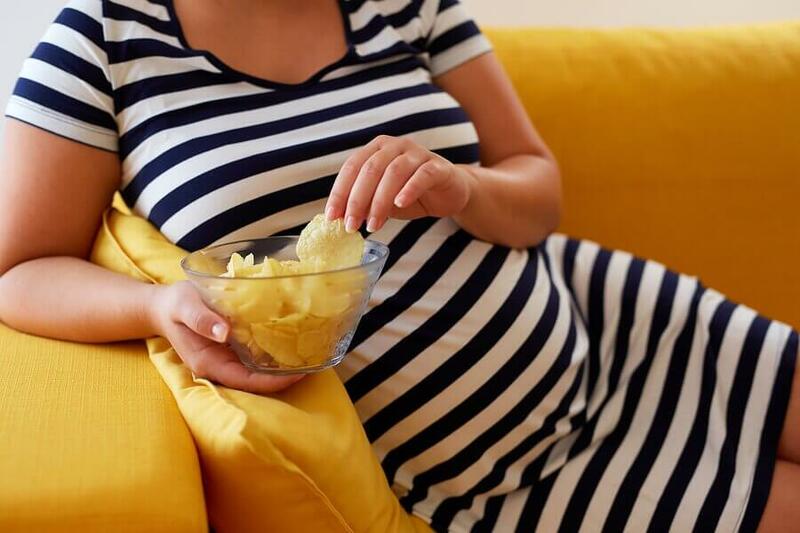 If the cravings aren’t properly controlled, the pregnant woman’s situation may become complicated. When do cravings appear in pregnancy? Each woman’s pregnancy is unique, and their symptoms vary depending on the circumstances. Some women may experience cravings while others may not. When a pregnant woman has cravings, the desire to eat is continuous. From the time she wakes up until the time she goes to bed, she’s thinking about eating and searching for food. Even if the future mother has just eaten, she may still want to continue eating not too long afterward. This desperate urge to eat can occur during different stages of pregnancy. There are pregnant women who experience cravings during the first trimester. However, they normally occur between the second and third trimesters, when the pregnancy is already advanced. One of these beliefs is based on the baby’s size as he or she grows in the womb. It’s said that larger babies need more food, which causes the mother to have to eat more. Some people associate birthmarks with cravings. It’s said that you must satisfy your cravings in order to prevent your child from having birthmarks. 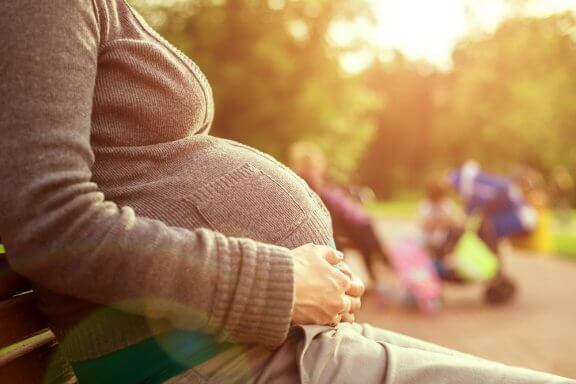 The consequence of this is that the pregnant woman’s family feels the need to participate in the prevention of these marks, making sure that the woman is always eating. “Eating for two.” This belief has a psychological effect that causes cravings. The woman eats her food portion plus one, to ensure the growth of her child. Then, she becomes obsessed with providing her baby enough nutrients for healthy development. None of these myths are backed with real evidence. Cravings have nothing to do with the size of the developing baby, nor with the cravings that it causes in the mother. Cravings arise in pregnancy, partially, due to the psychological effect that these myths cause in women. Social pressure and influence are also important factors, as we’ve seen. People close to the pregnant woman tend to give her advice on what is “best” for her and her baby. The question “Are you eating enough?” may appear several times a day. In addition to psychological reasons, there are physiological reasons as well. 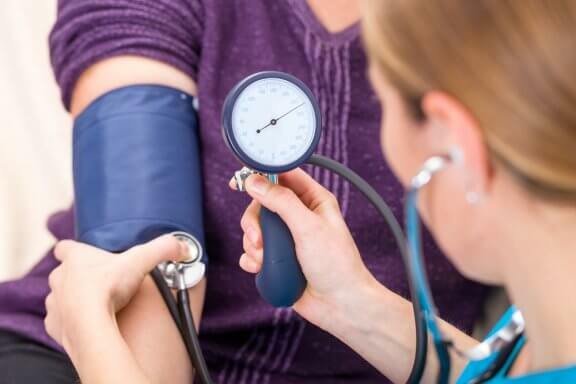 Hormones, especially estrogen, play a decisive role in the onset of hunger attacks in pregnant women. During pregnancy, the placenta secretes estrogen. This hormone causes states of anxiety and nervousness and is the cause of compulsive behavior, such as eating. In this state of compulsion, the pregnant woman overeats. The appetite is linked to foods that she herself was prohibited before becoming pregnant, as they were considered unhealthy. You feel what is called “freedom from deprivation” and start including many undesirable foods in your diet. 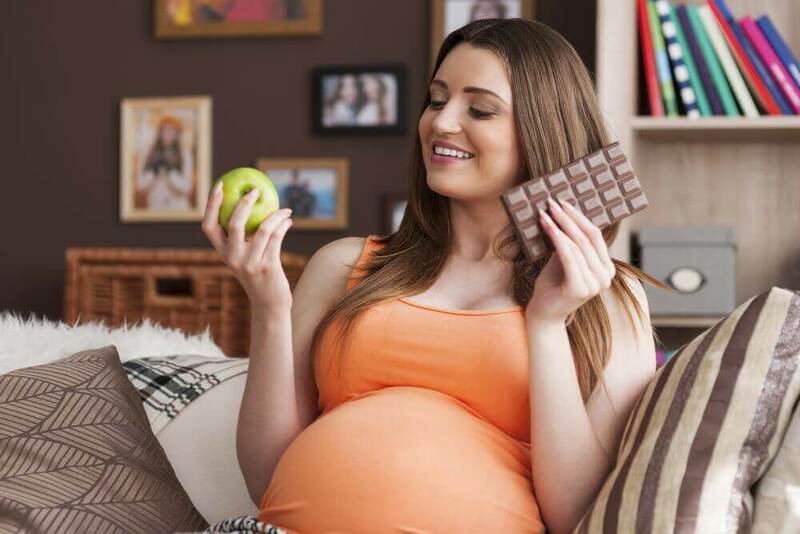 How to control pregnancy cravings? A balanced diet is always a determining factor for the mother and baby. Don’t forget that a rapid increase in weight can cause gestational diabetes, which occurs during pregnancy. How can you prevent cravings from becoming a problem? It’s essential to choose a healthy diet. Avoid fast food and processed sweets. Likewise, it’s advisable to choose low-fat foods that reduce appetite, such as cereals, fiber-rich vegetables, fruits. It’s also important to keep yourself occupied. 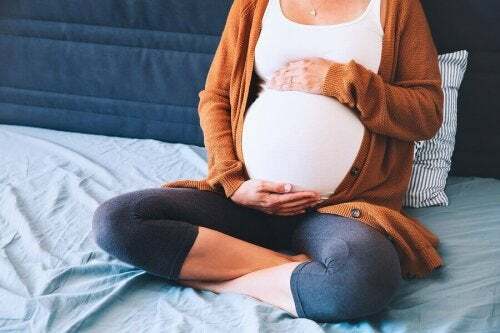 If the pregnant woman spends all day at home doing nothing but thinking about her pregnancy, her anxiety will increase. Lastly, of course, consulting a nutritionist can always help. Belzer, Lisa M. et al. “Food Cravings and Intake of Sweet Foods in Healthy Pregnancy and Mild Gestational Diabetes Mellitus. A Prospective Study.” Appetite 55.3 (2010): 609–615. Appetite. Web. Bayley, Tracy M. et al. “Food Cravings and Aversions during Pregnancy: Relationships with Nausea and Vomiting.” Appetite 38.1 (2002): 45–51. Appetite. Web. Fairburn, C. G., A. Stein, and R. Jones. “Eating Habits and Eating Disorders during Pregnancy.” Psychosomatic Medicine 54.6 (1992): 665–672. Psychosomatic Medicine. Web. Hook, E. B. “Dietary Cravings and Aversions during Pregnancy.” American Journal of Clinical Nutrition 31.8 (1978): 1355–1362. American Journal of Clinical Nutrition. Web.